"This is another world, thought Tyrion, but not so different from the world I know." The ever-changing political and military landscape of George R.R. Martin's A Song of Ice and Fire ensures that no Great House can hope to maintain control for long. But although the players may change, the fundamental game will always remain the same. With 42 alternate House cards that feature the characters relevant to this period of Westeros' history, A Dance with Dragons is a special scenario that immediately thrusts players into a grim struggle for survival. After a brief alternate setup to reflect each House's position in Westeros, you'll quickly be forced to forge new alliances and discover new strategies. While A Game of Thrones: The Board Game Second Edition presents events as they occurred in the first two novels of Martin's series, clever scheming and timely betrayals throughout the subsequent three novels dramatically alter the fortunes of each Great House. 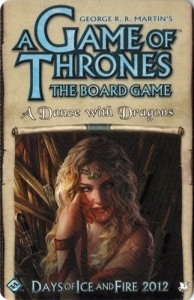 The A Dance with Dragons scenario imagines Westeros as it appears in the fifth book of A Song of Ice and Fire. 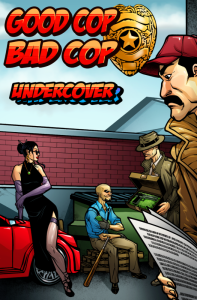 In Good Cop Bad Cop: Undercover, the second expansion for Good Cop Bad Cop, you are leaving your badge and uniform at home as you go undercover as a common criminal to get to the bottom of who's honest and who's crooked around here. Good luck! In Good Cop Bad Cop, your identity is determined by three cards in front of you. You're either Honest or Crooked and you need to find the leader of the opposing team so that you can take a gun and take 'em out. This expansion adds a unique ability for each player (their undercover assignment), twelve additional Equipment cards, and a Cover, which lets you protect one of your Integrity cards from investigation. 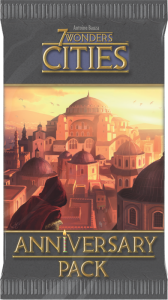 The 7 Wonders: Cities Anniversary Pack is a mini-expansion for 7 Wonders and 7 Wonders: Cities that contains fifteen new buildings, including a memorial, a customs office, a counterfeiter's office, and a smuggler's cache. The cult of the Forgotten has risen once more, but Terrinoth’s finest have stepped forward to oppose it. 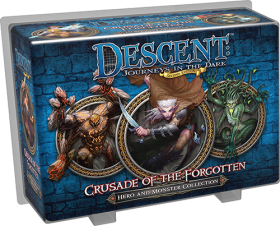 You’ll find eager adventurers and deadly monster groups in Crusade of the Forgotten, the third Hero and Monster Collection expansion for Descent: Journeys in the Dark Second Edition. The thirteen heroes and monster figures within feature completely reworked artwork and figure sculpts, bringing them in line with the aesthetic of the second edition. In addition, Crusade of the Forgotten offers two brand-new quests, telling the tale of the heroes’ battle against the resurgent cult of the Forgotten.